At San Marco Animal Hospital, Dr. Venkat Gutta and the team provide pet patients the solutions they need to feel their best. Pet parents in and around the Jacksonville and Springfield, FL areas who are interested in seeking nearby care for their dog or cat are welcome to seek comprehensive solutions for their furry friends in our facility. Veterinarian care is not only for routine evaluations and immunizations, but also for emergency vet care. What is a vet care emergency? If your pet is experiencing an emergency, we provide care for dogs and cats every day of the week. We also do not have extra fees for pet parents who bring their animal in for weekend care or emergencies because we understand how unexpected they are. 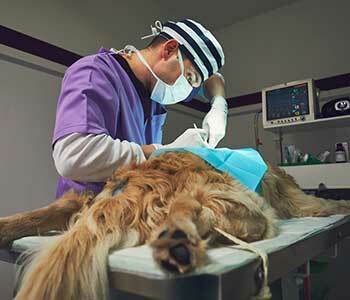 How can I finance my pet’s emergency treatment? We understand how important it is for pets to receive critical care when necessary, and that the cost of these treatments may keep people from being able to provide professional care for their pets. Furry friends who undergo any care at the San Marco Animal Hospital will benefit from financing options available in our practice. We encourage pet parents to look into credit financing through CareCredit, which can also be used for other expenses in the household such as dental care, dermatological services, and the like. Additionally, we accept all major forms of payment including cash, checks, and credit cards. We also provide military discounts and will avoid extra fees to make care easier to obtain. Can I walk in with a pet emergency? Absolutely! We are open seven days a week and will see your pet promptly to provide immediate service. We provide advice for pets who have various diagnoses, to make sure pet parents have options to consider whenever possible. We also have in-house laboratory services to facilitate faster diagnosis of certain conditions, and we also accept transfer from other emergency facilities, ensuring your pet has continued treatment and observation when they need it most. When should I call an emergency vet? 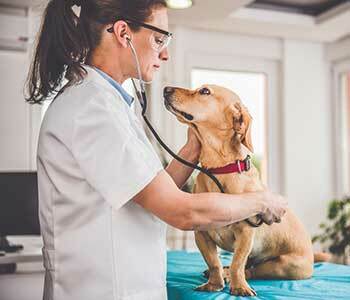 Dr. Venkat Gutta encourages pet parents to call an emergency veterinarian for recommendations, even if they’re not sure if the problem can wait. Sometimes, immediate intervention is crucial, especially when it comes to injuries, ingestion, and changes in the pet’s behavior. Pets can’t talk, but their actions can help pet parents and our veterinarian team determine what is wrong. If you are seeking a veterinary professional nearby the area of Springfield, FL, we highly recommend that you connect with our team at San Marco Animal Hospital in Jacksonville, Florida. Dr. Venkat Gutta and his team are here to help dogs and cats who need immediate assistance with medical needs. Our staff is dedicated to offering care to furry family members in the community. Call 904-516-9767 today to schedule a visit at 1546 San Marco Boulevard.